Mastering is the final stage of making a CD before having it replicated. Every professional CD you hear has been mastered. But how can mastering finish off your work? Perhaps it's best to start with what mastering won't do. It won't make or break your album; only your performances can do that. Don't expect mastering to remove every flaw on the album. It can't do that. However, a good mastering engineer can take out most sonic problems or at least minimise them. Mastering can bring out certain aspects of the mix, and lessen others. A good mastering studio will talk to you about what you want your CD to achieve, and how you want it to sound, and they'll attempt to tweak the sound so it meets those expectations. 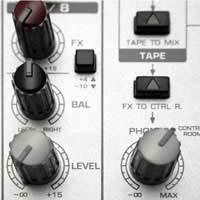 One of the main things in mastering is equalisation; that can have a huge effect on the final sound, altering the emphasis in different frequencies so you can bring out the bass, middle or treble ends. There'll also be compression, de-essing (taking out any hiss), correcting the phase between the two stereo channels (making sure they're in sync), and finally correcting the levels so that each track has the same volume. A mastering studio is different from a recording studio. The equipment tends to be more state of the art. Obviously, there's no recording studio, since everything is done at a control desk, one that's rather different from what you'll have found in the studio where you recorded. Mastering also sets the spaces between songs (which can vary from a straight run-on to a five-second gap), and create what's called a "track ID," which allows each track to be identified. In the studio you can also work on song fades (or even cross fades into the next piece if you wish), and emphasise different parts of the piece. The mastering process creates a reference CD, or CD-R. What most studios will do is ask you to take the CD-R away and listen to it on different systems. If you're dissatisfied, the studio can make alterations. What you should find is that the mixes have more presence, to the stage where they're almost three-dimensional, more clarity, and certainly more consistency. It's a very specialised field; there are nowhere near as many mastering studios as there are recording studios. The equipment is more expensive, and learning to use it properly is a task that takes a long time to learn.Mastering engineers go through a lot of training, but they need incredibly good ears. It also helps if they have training in the field where they work, i.e. classical training for working on classical discs. Mastering is a lengthy process. Don't expect it to happen with a single play-through. Allow time (and money) for mastering. What you'll end up with is a disc you can take directly to the replication plant. Book the mastering session in advance, to allow time for you to write down all your concerns. Make a list of what you feel needs processing on altering on the tracks. Have a printed list for the final CD-R so everything can be properly heard in order. Take a couple of commercial CDs whose sound you love to the mastering session. If you're planning on uploading your material to iTunes, make sure you obtain an ISRC code for each song and bring them to the mastering session (and check with the pressing plant to be sure they can upload them to the "glass master" (the disc used for replication). Don't skimp on the idea of mastering. It can put the final professional gloss on your recording. At the same time, know your budget!